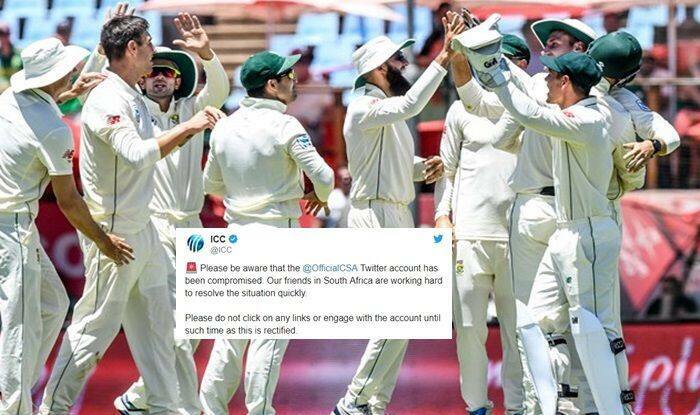 South Africa vs Pakistan 3rd Test: The official Twitter handle of the South African cricket team was hacked with the ongoing Test heading into Day 4. South Africa vs Pakistan 3rd Test: The official Twitter handle of the South African cricket team was hacked with the ongoing Test heading into Day 4. A couple of tweets indicating selling of Bitcoins in some lottery led to the apex cricketing body ICC issue an alert immediately on Monday morning. 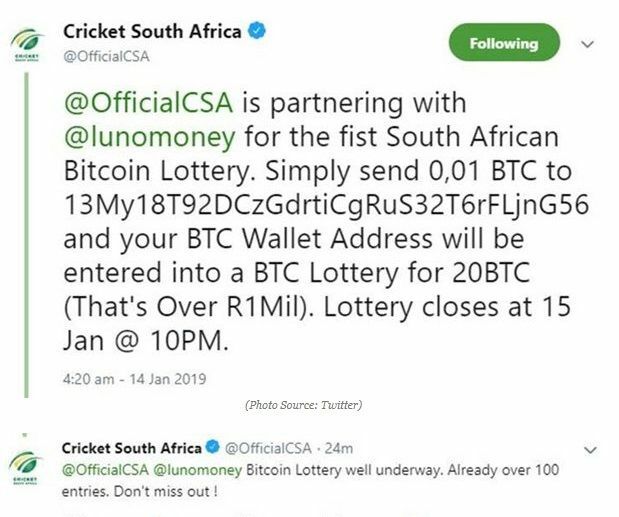 The entire drama began at 4.20 AM IST on Monday when the hacked account CSA’s partnering with the South African bitcoin lottery also informing that it closes on January 15. A couple of more tweets also surfaced regarding the same topic at tentatively around 9.30 AM IST before the issue was resolved by 11.30 AM according to IST.